At Fives, we have a strong commitment to invest in R&D for the benefits of our customers: from new ideas, products or production processes, to improvement or simplification of existing ones - always promoting interaction. Based on its own R&D team, Fives has built a long-standing relationship with numerous international laboratories, universities and knowledge communities, covering scientific fields such as: heat transfer, CFD, Mechanics Material, Brazing, Welding, Production, Engineering, … but also for health, safety and Environment. 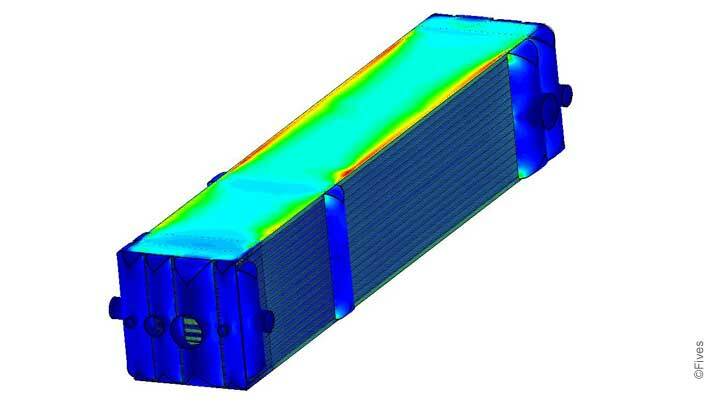 The modeling and simulation of plate-fin exchangers is an example of this commitment. Fives has developed its own software: ProSec. It is the result of almost 20 years of investment in Research & Development and has been validated in laboratory conditions and onsite. It allows increasingly complex designs to be processed with a high reliability rate (best-suited for our customers). 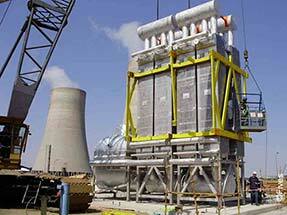 More specifically, ProSec can perform a dynamic simulation of the exchanger, in addition to static calculations. These calculations in transient state are needed to validate the start-up, shut-down, operational and upset cases, in order to determine the thermo-mechanical stresses on which the equipment integrity depends. 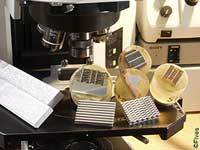 Maintaining state-of-the-art techniques also requires continuous R&D investment, in collaboration with universities, engineering schools and laboratories – a commitment to which Fives has always abided.